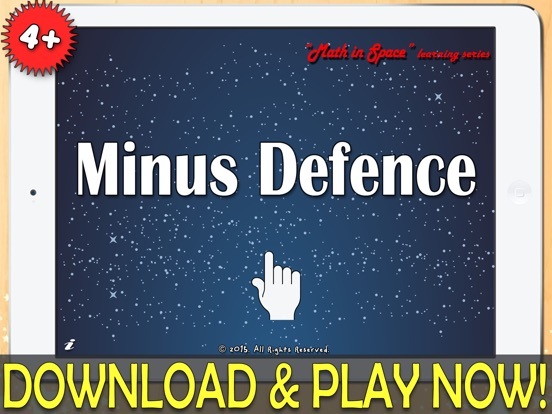 “Minus Defence” is a great application for our kids to have a lot of fun with mathematics and at the same time to easily learn and improve their overall skills with Subtractions. 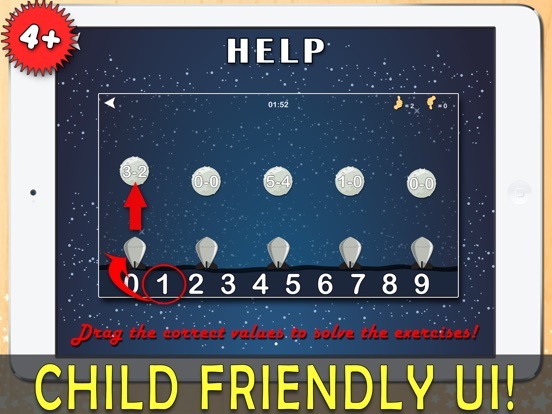 The simple and intuitive user interface is designed to be child friendly, which allows children to play without help from an adult. Children know intuitively what to do: just tap and move numbers into place. In addition, the learning screens are colourful, fun and with different exercises our children don't get bored. 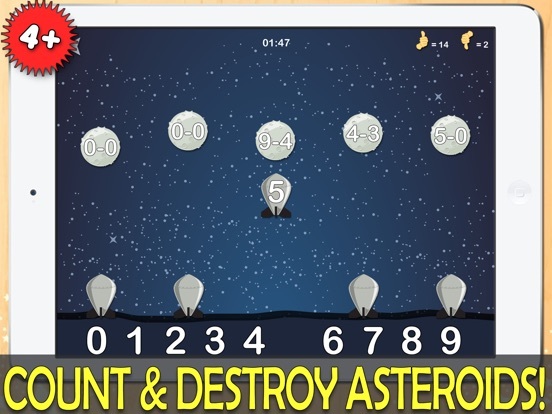 The application uses an approach that encourages learning. Automatic statistics are collected during exercises and can help parents to track the progresses. 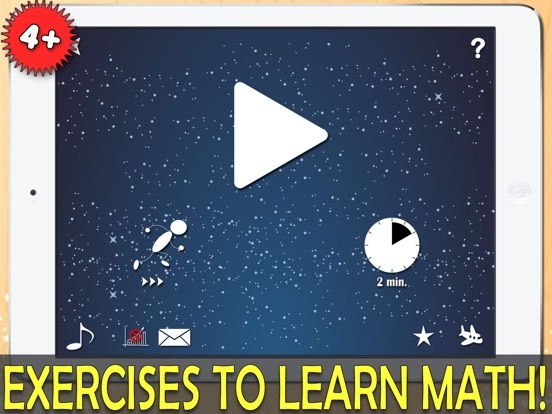 This math app, designed for preschool kids and kindergarteners, provides a fun way to assist teachers and parents in teaching children to successfully learn Subtractions. * very simple design, ideal for our kids. 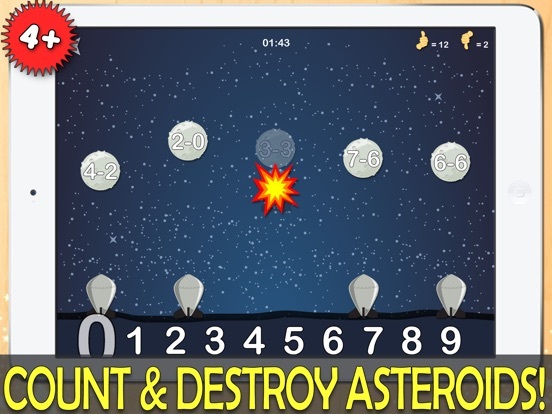 Just drag and drop the correct value on the rocket to destroy the asteroid!